We deliver our live worm orders to anywhere in the U.S., free of charge. Looking to buy some happy, healthy red wiggler composting worms? You have come to the right place. Here at The Squirm Firm, our dedicated customer support staff will help you make sure your worm farming effort is a success by providing complete support for all of our products. I've heard one too many stories about the horrendous post-purchase experiences people have had with other worm suppliers and I decided that my worm operation would always put customer support first. Let us know in the order comments that we should instruct the post office to hold the package for pickup. This will keep the little guys protected from the elements in a cozy, climate-controlled post office. All of our worm prices are calculated with shipping included because here at the The Squirm Firm, we don't like the nasty surprise shipping charges many of our competitors blindside you with in the middle of the checkout process. What you see is what you pay. If you are unsure of how many worms you are going to need for your worm composting project, check out How Many Worms Do I Need to Start? on our worm composting blog. It will walk you through assessing your needs and help you to make your final decision. 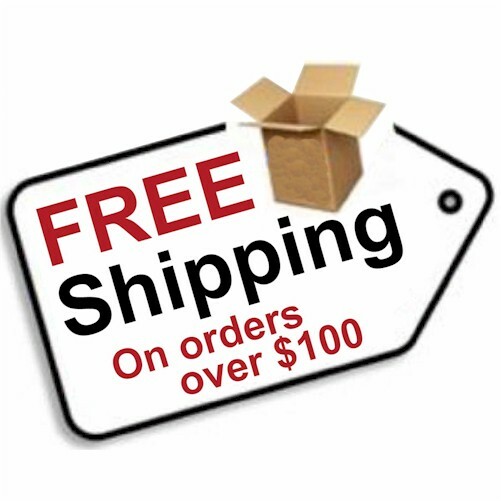 We ship our products anywhere in the continental U.S.
All non-worm orders are shipped within 48 hours. Worm shipments are shipped out at the beginning of the week after they are received, to minimize the chances that they get stuck in transit over the weekend. We do not take returns for live red wigglers. Sign up for our newsletter to receive monthly worm composting tips, tricks, and how-tos! We will teach you the skills to keep your worm bin running in tip-top shape!